Field Dalling tower mill ran two pairs of French burr stones, a flour mill & jumper. By 1863 a bake office was being run on the site and by the 1870s a steam engine was being used for auxiliary power. 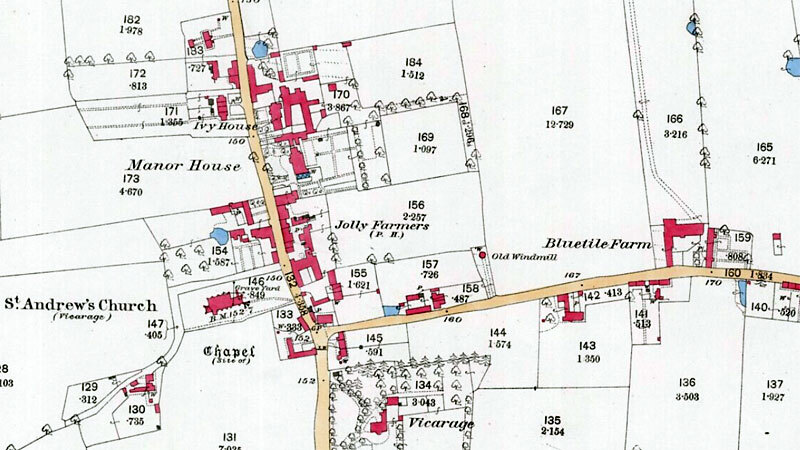 A Very Desirable ESTATE situate at FIELD DALLING in Norfolk comprising a substantial & newly erected BRICK TOWER WINDMILL with the two pair of Stones, Going Gears, Machinery & Apparatus upon the most improved plan thereto belonging, also a suitable Dwelling house contiguous thereto, a detached Cottage, a capital Barn, Stable, Double Cart lodge & other useful Outbuildings, walled-in Yards, productive Garden & Orchard & six Acres of thereabouts of fine Arable Land in a high state of Cultivation. The Estate is now under a Lease to a respectable Tenant whose term expires at Michaelmas 1843. The above Premises are most advantageously situated for Trade & command a good Business. The House & Buildings are brick & tiled & in an excellent state of repair. Apply to Mr. Sewell, Solr. Or the Auctioneers, Swaffham. WANTED, a Youth in the above trade who has some knowledge of & wished to improve himself therein. A steady honest active & obliging youth would find this a comfortable home with every facility afforded for his improvement. Apply to John Tuttle, Field Dalling Mill, Holt, Norfolk. WANTED immediately, a MAN who can be well recommended for industry, honesty & sobriety. Apply personally or by letter to John Tuttle, Field Dalling, Holt, Norfolk. WANTED, a MILLER & BAKER. He must know the Baking business well & be well recommended as a steady, sober, honest & competent tradesman. A Methodist will be preferred. Apply by letter to Mr. John Tuttle, Field Dalling Mill, Holt. WANTED, immediately, a JUNIOR HAND of good character, one who knows a little of the baking business will be preferred. Apply by letter to Mr. John Tuttle, Field Dalling Mill near Holt, Norfolk. Freehold MILL & 6 acres of Land, Dwelling House etc. The excellent BRICK TOWER WINDMILL driving two pairs of French Burr Stones, Flour Mill & Jumper, Steam Engine & apparatus attached for driving with Steam Power, a Well of water near to supply engine. Also about SIX ACRES of superior ARABLE LAND in a high state of cultivation, Dwelling House, Bake Office, Barn, Warehouse, Stable, Cow-house, Cart lodges & Outbuildings, all Brick & Tiled & well situated for business. Possession at Michaelmas next or earlier if necessary. Particulars of I.B. Coakes, Esq. Solr. Norwich, Mr. William Tuttle, 19 Regent Street, Yarmouth, The Auctioneers, Messrs. Ireland & Co. Wood Dalling, Guestwick & Norwich or the present occupier. W. Baker on Tuesday September 27, 1870 at One p.m. the FARMING IMPLEMENTS, STOCK IN TRADE & Effects upon the premises of Mr. John Tuttle, who is leaving his present occupation. In 1971 John William Seppings aged 90 said that the site of the mill was at the Oddfellows Hall, next door to his property and his end wall was built onto the mill.